…Math is such an interesting subject that can be “explored” in so many different ways, however, in school here I don’t really get to learn it to a point where I say yeah this is what I know, I fully understand it. We move on from topic to topic so quickly that the process of me creating links is interrupted and I practice only for the test in order to get high grades. Would I want to come to my class? This question haunts me. What are my kids seeing, feeling, thinking? Why does this kid come, but stay totally uninvolved? Why does this child talk, constantly, but about anything but math? Where did curiosity go? Is my class a class I would look forward to? My personal enjoyment of math comes from the struggle with ideas and the satisfaction I get from my connection of and understanding of the relationships among those ideas. It’s like a huge puzzle that will take the rest of my lifetime to fully understand. The student’s comments in Evan Weinberg’s post resonated with what I see happening with my students. They are not learning math so much as preparing for a test about math. They are not learning math so much as preparing for a test about math. The current situation of ‘learn how to do this; learn how to do that’ mentality is slowwwwly changing over to ‘understand why this is so; why does this relationship work’ exploration. It will need a shift in how we teach, letting kids struggle and connect ideas (we must facilitate this exploration, but not down some tightly designed path), and changing our view of grades and mastery. I can’t say I don’t have the answer- I am working on an answer that works for me and for my students. And I’m sure I am not the only one teacher who has found the path that is taking them closer to the ideal. These ‘connections’ she speaks of are not innate. Students see without understanding. Teaching reveals and makes obvious; children begin to see math in everything in the world around them. It will allow them to make much deeper connections, more fluid connections, throughout their education and beyond. Art is not math, it’s not boring. 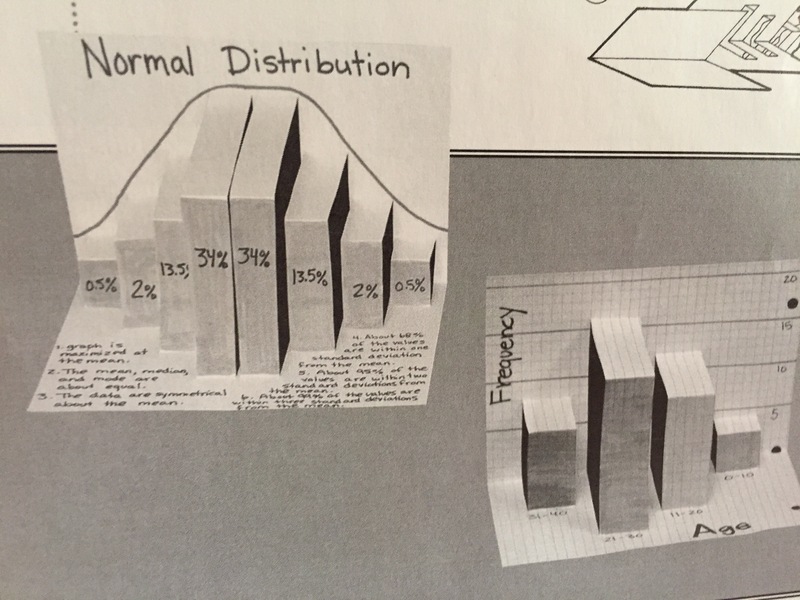 Folding paper, for many math students, isn’t ‘doing math’. While they may struggle to fold straight lines, to make inverse folds, to make it look ‘right’, they are creating something beautiful, and if I can teach them nothing else, I can show them math can be beautiful! 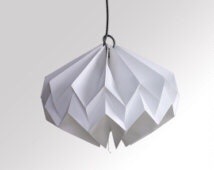 The idea, after introducing them to this complex looking, yet simple, folding technique, is to have them think about what it will take to replicate angles, curves and other shapes with their paper. Then they have to apply some design sense: how many folds? How long does the fold need to be? What direction do they need to fold? What angles will produce a curve? The folds are repetitions of a fold- what is the proportional relationship? In this image, there is a curve. Each fold is a point on that curve. It can be mapped on grid paper, it can be written as a formula. There is a connection! Don’t be afraid to start with complex looking folds. It’s so powerful for students to struggle with something that seems beyond their abilities. Success is completely intrinsic and will lead to a student who is more confident. This feeling of success is habit forming. It is a primary building block in creating a student who perseveres! 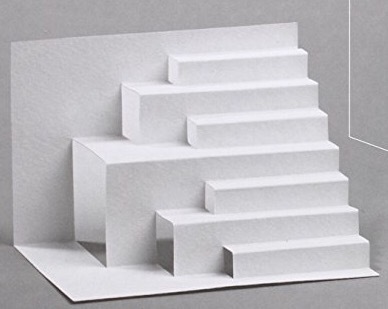 We can calculate the area of this beautiful 3D paper construction, we can create more of them by following the ‘formula’ or we can dramatically change or even destroy an image by changing the formula! This creative process stretches the imaginations of my students. The ‘what if’s are endless. Many of my students will continue with this exercise beyond class, through drawings, foldings, and cut paper. 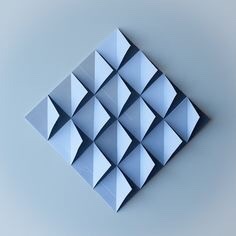 There is a great simple foldable here that actually incorporates cuts to create a 3D effect. It’s a great way to jumpstart paper folding and cutting shapes to students that are not accustomed to paper-folding activities! I want my students to make graphic organizers that are beautiful to look at. Notes as art… What a concept! Notes as Art… What a concept! The possibilities for using this as a graphic organizer are endless!